Low DC Power Consumption: Switches with TTL drivers require ±5 VDC @ +350/-85 mA. 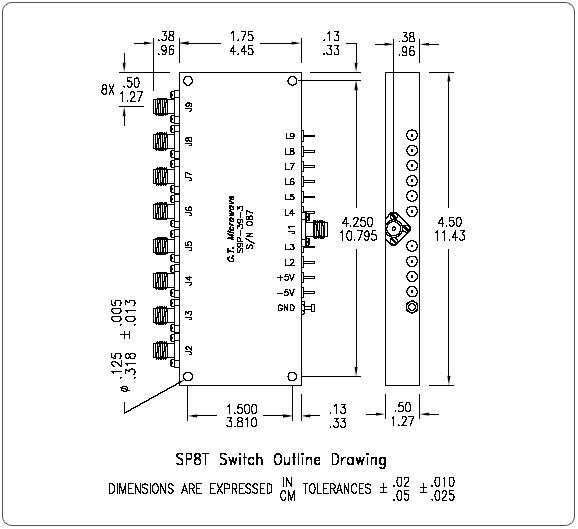 Absorptive Switches: The J2-J9 ports are non-reflective. 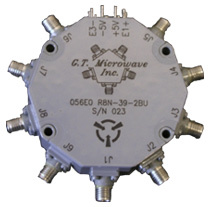 Matched Phase & Amplitude: Models listed are available with matched ports. Otherwise, add 0.25 dB loss to ports J2 & J9. Please consult the factory.